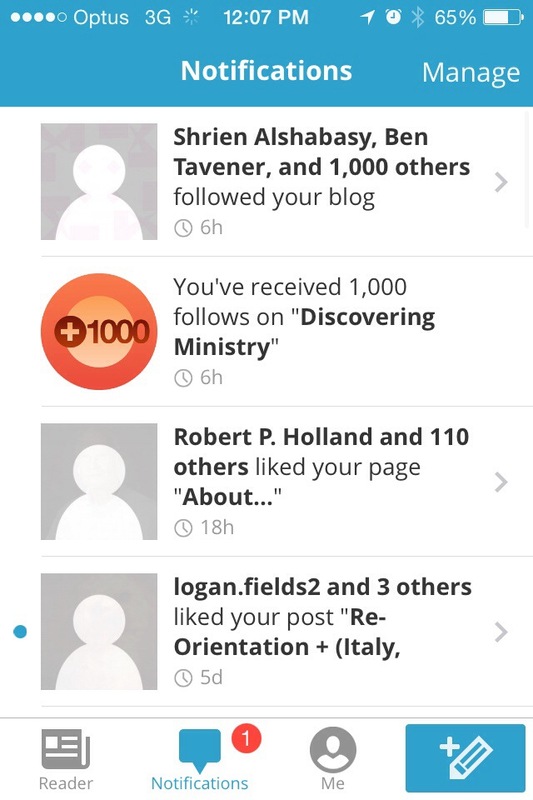 I was just notified that this blog now has a thousand followers! I feel extremely blessed and honored. Thanks to everyone who’s reading. Can’t wait for the next leg of this crazy journey. Blessings! Jealousy. What is it really? Is it anything more than a thought, emotion, or action in which we invest once the opportunity appears? Or is it perhaps something within human nature in which we all live with each day on different levels? The answer of course is both. Jealousy is a part of our earth suit. It’s the instinct within us that involuntarily looks to others and begins to compare our situation with theirs. It’s the creature that lives in the core of our insecurity. The bad news is that at one point or another everyone comes into contact with this destructive habit. The good news however is that it is possible to master it. So how do we overcome this obstacle? When taking control of this conflict we all must begin where most battles of this nature are won and lost; in the heart. Whether you are on the winning or losing side of the battle, it takes continual control of both mind and spirit to continue going in the right direction from day to day. Here are three practical points to remember when you inevitably discover this challenge. Consider for a moment: What is your view with consideration to your own immediate situation? What level have you reached in the proverbial ladder of human life? What is it that you feel you deserve? You may be surprised with what comes to mind. We can easily stumble upon a stint of jealousy when we feel that we aren’t getting what we deserve out of life, and others around us are. We take one look at someone else who seems to have everything that they might desire, and enter into the thought that it should have been us. You feel that something must have gone terribly wrong because you have paid your dues and now somehow, someone else seems to be reaping the benefits. You feel that since you’ve done the all the right things, you now deserve a piece of that pie. You actually need to get over yourself. Realize that everything isn’t about you. If you can’t do that, perhaps you need a reality check. The best experiences in life have to do with giving, not receiving. A selfish heart is often a jealous one. We often hear the term “life isn’t fair,” but have you actually accepted it? Anyone who has lived two seconds on this planet can tell you that this is the truth, but what many people miss however, is the idea that it was meant to be that way for a reason. I won’t deny that there seem to be certain extenuating circumstances in which people are just given better opportunities than others simply for being in the right place at the right time. Some might call this “luck”, but I call it life. All of us are born in a different place at a different time. So why then do we gravitate towards the idea that we deserve certain things? I’ll tell you why. It’s because, for whatever reason, we create for ourselves a sense of entitlement. In other words, “I deserve X,Y, and Z because life owes me something.” I’m telling you friend, it just isn’t true, and this thought is a trap. So before you decide that you are missing out on the things you should have for no reason, remember that the world is not meant to be your personal butler, delivering to you all the things you might desire on a silver platter. The reality is that God’s gift of life is an nothing short of an opportunity to be who you were meant to be. We were designed to be overcomers. If we never encountered obstacles, we would never know how sweet victory tastes. Life is a moment in which we make certain choices for good or for evil. At the end, we all take with us the same amount of earthly things. We need to decide that it’s more important to do the right thing than it is to have a bunch of nice stuff that won’t last. Our hearts are designed to be happier that way. Sometimes we may find ourselves yearning for things that don’t belong to us because we forget that there is a time and place for everything. How often do we wish we were living the life that someone else is living? The truth is that when we spend time longing to be living someone else’s life, we miss out on the great things about ours. Imagine for a moment that you are hiking up a mountain. Yes, making it to the summit and enjoying the view is an amazing part of this journey, but if you spend all your time complaining about the difficulties, and only thinking about how amazing the top is, you will undoubtedly miss the natural charm of the trail, the way that plants and animals enrich the experience, and the pure grace and beauty of nature itself. With your focus on someone else who stands on the summit right now, you will surely fail to capture the joy of experiencing the expedition. Remember that God has reserved your success for a purpose. If you know that you are on the right path, it’s as simple as this: You may just need to be patient. Let’s say that you encounter a situation where someone else has something great, and you don’t. I know that’s never happened to you right? Let’s get real, it’s happened to everyone. Ask yourself another question; what did that person do to get what they have? It won’t take long for you to discover that this certain someone has earned it. Even a great inheritance was once earned because someone was willing to work diligently for it. Ask yourself, if I really want something great for myself, am I willing to do what it takes to get it? Am I willing to put in the blood sweat and tears? Am I willing to wait until the right time comes for that opportunity? If not, you really have no business yearning for those things do you? If someone you know has a great marriage, chances are that they fought for it. If someone tells you that they climbed Mt. Everest, it’s most likely that they trained for years to be able to do it. If someone you know has a successful career or business, it’s because they built it brick by brick. Consider whatever it is that you are jealous of. Has this person earned it? Realizing that the people who have great things probably worked very hard for them, is vital when it comes to disarming jealousy. Understand that it’s important to have proper perspective when it comes to your own journey. The position YOU are in, and the position that OTHERS are in, can be two very different things. Be willing to work hard to get the things you are after. Instead of becoming jealous of someone else’s success, use their story as inspiration for your own. If anything, the people who have been where you want to go, and are doing what you want to do, will be able to help you along the way. I recently heard the tale of the town with no shoes. Two different shoemakers moved into town in order to check out the scene. One shoemaker saw that no one had shoes and decided that this was no place for someone in his profession. After-all no one seemed to be interested. The second shoemaker decided to stay and build a shoe factory because after-all, there were a lot of shoes that would need to be made. He then proceeded to make his fortune. The difference in these two shoemakers was their attitude. It probably took the second shoemaker about three seconds to realize that this was the opportunity of a lifetime. But it probably took a lifetime of good attitude to make his dreams come true. It’s true that some are given much, and some are given little, but even though these circumstantial incidents do occur, only a fool would believe that there is nothing that can be done about it. The first thing you can do is get the right attitude. Once you have that down, what other people have and what you don’t have, will be of little importance. Ask yourself if you have the kind of attitude that might earn for you great things. One of my favorite people in history is Thomas Edison. The reason why he is known today as the inventor of the modern light bulb is not because he deserved the title, it’s because he was the one who tried to invent it enough times. Renowned astrophysicist Stephen Hawking was once told that he wouldn’t live beyond his 20’s due to his condition called nuro-muscular dystrophy which limits him to a wheelchair and renders him with the inability to speak. Yet he went on to become one of the most influential thinkers of our time. Both of these men could have easily given up, and no one would probably have blamed them. The reason they became successful was all in their attitude. During their rise to fame there were undoubtedly people who were currently leaders in their fields. I can almost guarantee you that they didn’t spend much time stewing in jealousy. They both saw what they wanted, and ignored the rest. Your attitude will determine much of your success, and you can take that to the bank. What is it that you want to achieve? Let me encourage you, rather than throwing a pity party and wallowing in your own “why not me” stew, why don’t you just go and get it. Most likely it won’t be easy, but remember that nothing of great value will ever come easily. Be the person that decided make your dreams become realities. Replace your jealousy with decisive action. Try to identify and get rid of selfish thoughts, have perspective, be patient, take action, and have the best attitude you can possibly have, and I promise you that your jealousy will begin to subside. Don’t forget that it’s a daily battle. You can let the heart of jealousy take control, or you can be the one to take control of the beast itself. The choice is up to you.